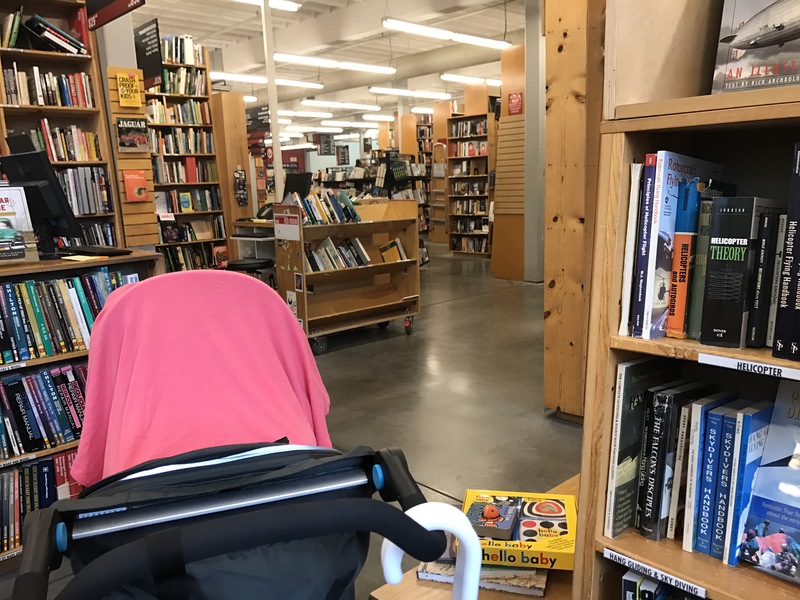 Thunder and lightning was on the forecast so we headed to Powell’s bookstore (it’s huge! with new and used books, including out-of-print). I splurged a little in the children’s section and then also got an adventure guide to Portland (Best Outdoor Adventures Near Portland) for next time and one on the history of Washington (New Land North of the Columbia) that looks like a wonderful coffee table book. On the way out of the store we were headed to the Portland Market when I heard the sound of drums and native style song. 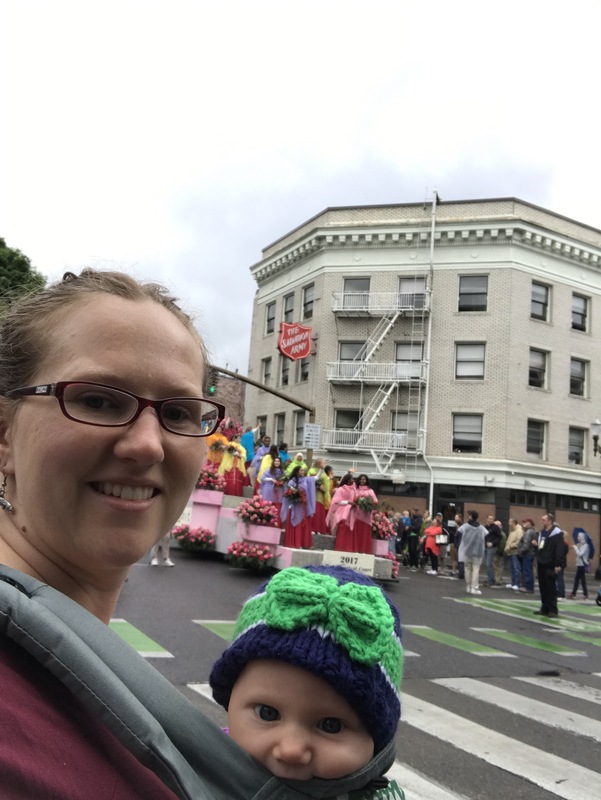 That’s when we ran into a parade! 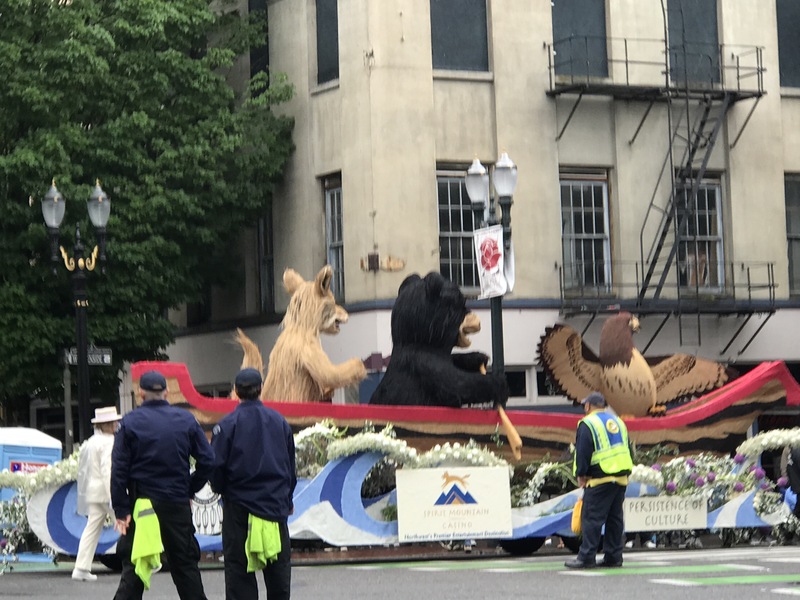 The fox, bear, and eagle were paddling their canoe down the streets of downtown Portland for the Rose Festival. We stood and watched for a while with a nice front row view. On the way back to the car (we parked in the atrocious Powell’s book parking garage where I was glad to know my car’s perimeter well) it started with the promised rain but no thunder and lightening thankfully. 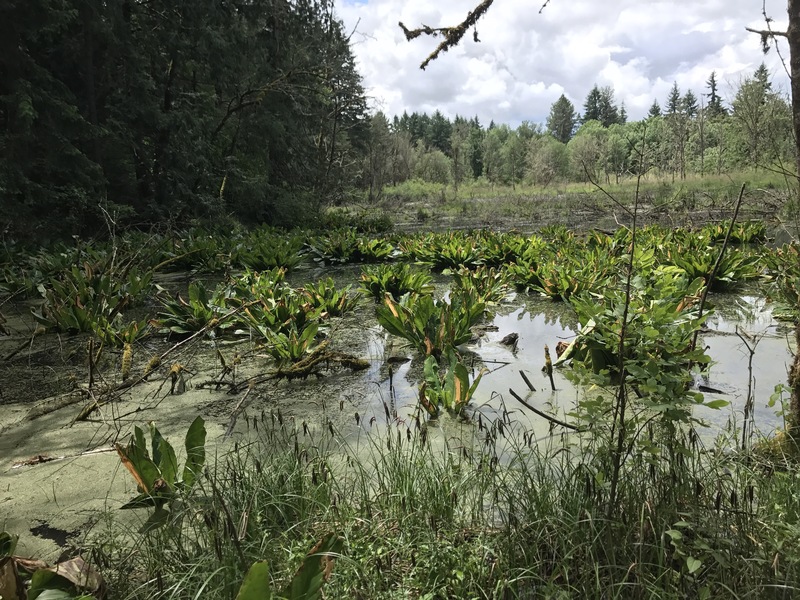 We drove to Beaverton to Tualatin Hills Park, where I had tried to go the day before. 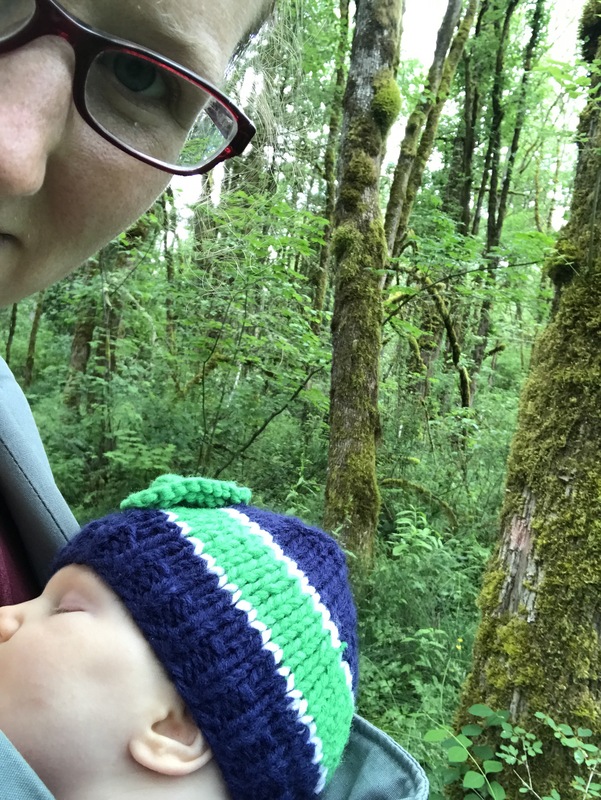 The trails we went on were very accessible, either paved or packed dirt, for the stroller. I don’t mind taking her in the front carrier but with the rain it was comforting to have her whole set up so I felt free to stay out as long as we wanted. 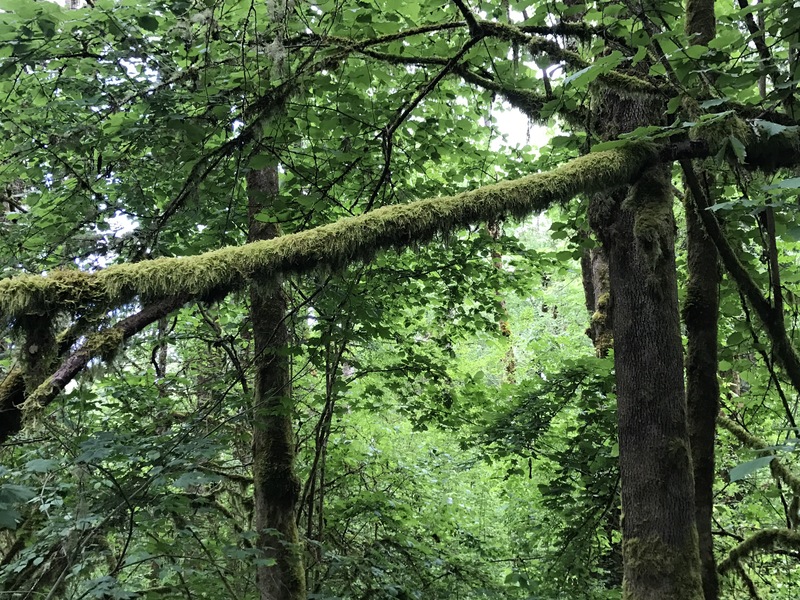 For the most part the rain did not penetrate the forest canopy. I enjoyed the variety of the walk. 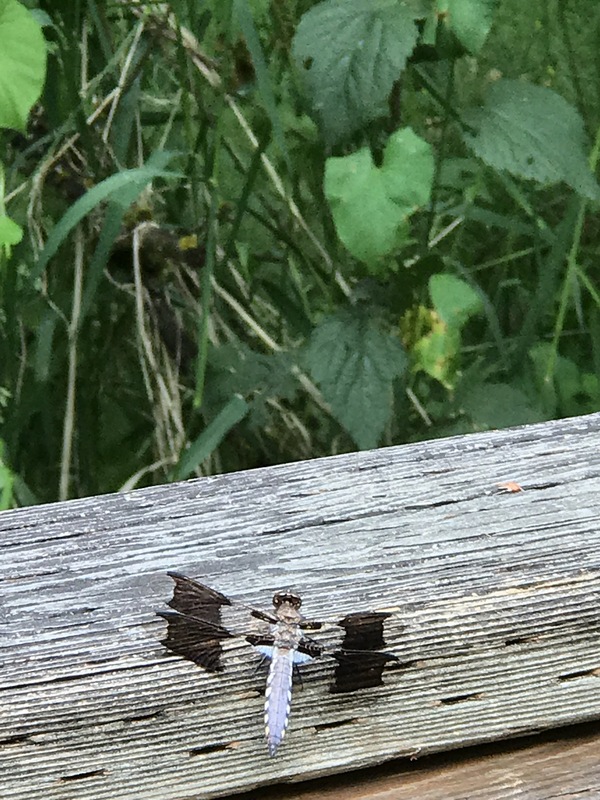 Anyone know what this cool looking creature is? 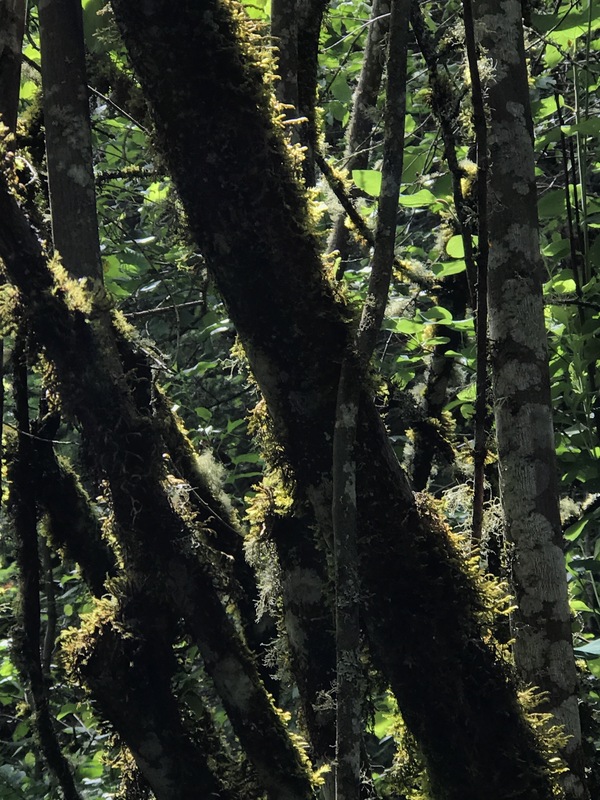 We saw squirrels and a red-tailed hawk (which I got a motion picture of on my iPhone of one flying but unfortunately the still image you can only see trees). Apples? 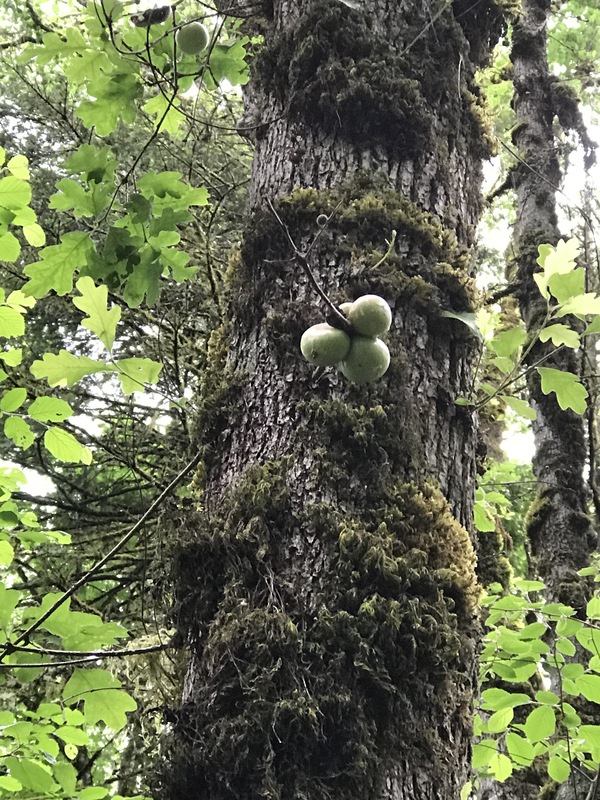 I haven’t seen this kind of apple tree. There were interested apple looking fruits clinging in bunches onto small branches hanging from these enormous trees. Very interested! No idea what they are. 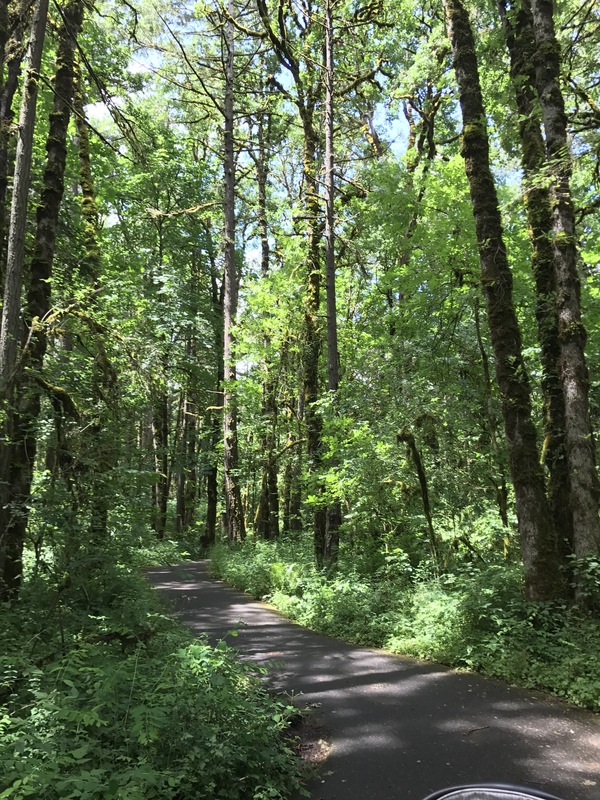 Later that day I went to Costco because I’ve discovered that they have local children’s books, so I got Let’s Count Oregon: Numbers and Colors in the Beaver State. This will be a wonderful addition to what I got at Powell’s called All Aboard Pacific Northwest: A Recreational Primer. I love any book that inspires going out into the outdoors! 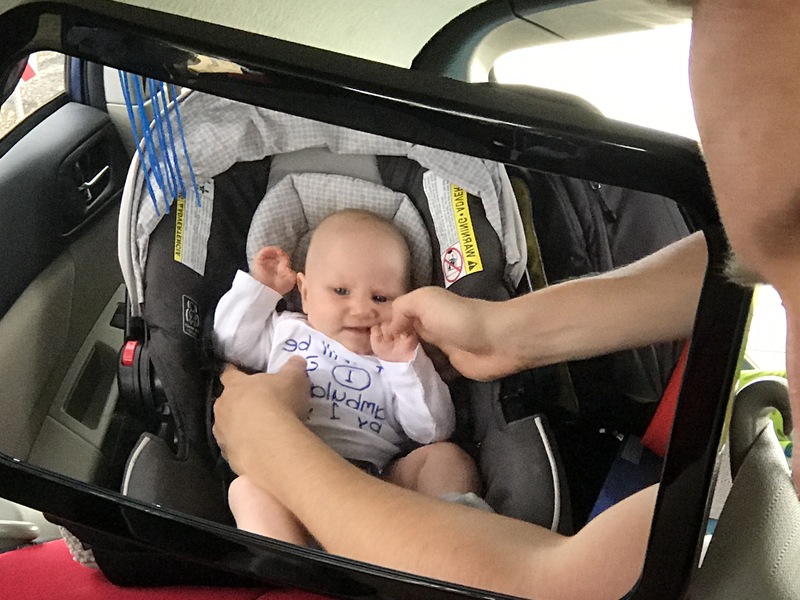 On the way back to Seattle on Sunday we only made it one out of 185 miles before having to stop twice for diaper changes. Kaya was one unhappy camper about being in her carseat. Thankfully she then slept the rest of the way! We didn’t press our luck in waking her up and drove non-stop to Seattle.